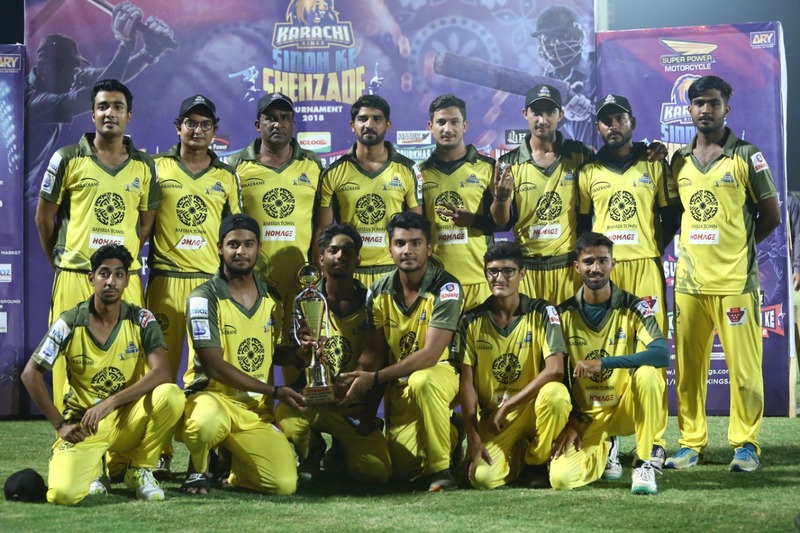 Fahaddis Bukhari played a fine inning of 47 runs that helped Karachi Ke Shehzade to beat Hyderabad Ke Shehzade by five wickets to lift the coveted trophy of the Sindh ke Shehzade tournament at Naya Nazimabad Cricket ground on Friday. Earlier, it was Salman who bagged five wickets to not only restrict the opponents on to a moderate total but also lifted the man of the match award in the final. Hyderabad posted 140 runs while batting first after winning the toss. 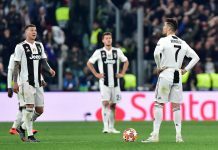 Their openers were failed to add anything to their team’s total as they both went back to the dugout without getting off the mark. Daniyal Rajput (34) and Asim Mahmood (32) rescued the sinking ship of Hyderabad. Alongside Salman, who took five-for, Abrar Ahmed took two scalps for Karachi. In reply, Karachi Ke Shehzade didn’t start off well with their openers falling after making just 22 runs but Fahaddis Bukhari and Bahdur Ali put together 57 runs on the scoreboard to seal the victory for Karachi. Karachi Ke Shehzade received the cash prize of Rs 0.5 million for winning the tournament. Hyderabad got the prize bag of Rs 0.25 million. In individual performances, Amad Alam with scoring 223 runs, named as the best batsman of the tournament. The man of the final match, Mohammad Salman also received the best bowler award for taking 14 wickets overall. Haris Ali Khan adjudged as the best fielder of the tournament. The Governor Sindh, Imran Ismail was the Chief Guest at the closing ceremony of the tournament alongside Pakistan’s two legendary players Shahid Khan Afridi and Younis Khan. The guest distributed the winning awards among the players appreciating the efforts of Karachi Kings for organizing such a fruitful cricketing tournament for budding cricketers of Sindh. Mr. Governor on the occasion said that these sort of tournaments should take place on regular basis to provide a solid platform to the young players. “I really appreciate Karachi Kings to stage such a wonderful tournament which paved the way for youngsters to showcase their talent,” Ismail said. Shahid Khan Afridi on the juncture said that Sindh has immense talent but there is a need to extract them out and to polish their skills. He also stressed the need for establishing cricket academies in all over Sindh to further promote cricket. “We can get more talented players to represent Pakistan at the higher level but for that, we need to build academies with proper facilities,” Afridi said. Former Test cricketer, Younis Khan applauded the players who came from far away just to show their spirit and commitment. He also had good words for Karachi Kings to conduct such a healthy tournament which gave the youngsters an opportunity to get their skills highlighted. “The youngsters in the country need some tournaments like this to get their skills improved,” Younis added. On the other, the founder and CEO of ARY Network Mr. Salman Iqbal – owner of Karachi Kings congratulated the winning team and appreciated the management for providing such an excellent platform to the youngsters to shine. “It never ceases to amaze us just how much talent there is in Pakistan. Every talent hunt that we have conducted has brought forth a new breed of athletes, each unique in their own way,” Mr. Salman Iqbal said. He added that the Super Power Karachi Kings’ Sindh Ke Shehzade Cricket Tournament was another step in their vision to find and nurture the future of sports in Pakistan. Moreover, CEO Karachi Kings, Mr. Tariq Wasi and the management of the team thanked the fans and the sponsors, Bahria Town (titanium sponsor), Nurpur and The Arkadians (platinum sponsor), Shield (gold sponsor), Imtiaz Super Store (official supermarket), Brighto Paints (official paint partner), 5 Star Foam (official partner), Naya Nazimabad (official home ground partner), Golden Pearl Cosmetics (official beauty cream partner), Zee International School (official academic partner). Mr. Wasi also recognized special sponsors including Super Power and team sponsors HSJ, Igloo, Bridge Power, Hawk and Homage, Pakola (beverage partner), MB Malik (sport goods partner), Pakistan Observer (print media partner) and FM 107 (radio partner), Ti Marketing and A to Z Properties for their great support throughout the whole tournament, which made this event a great success.